New class in New Orleans starting after Jazz Fest. Starting Tuesday May 5. 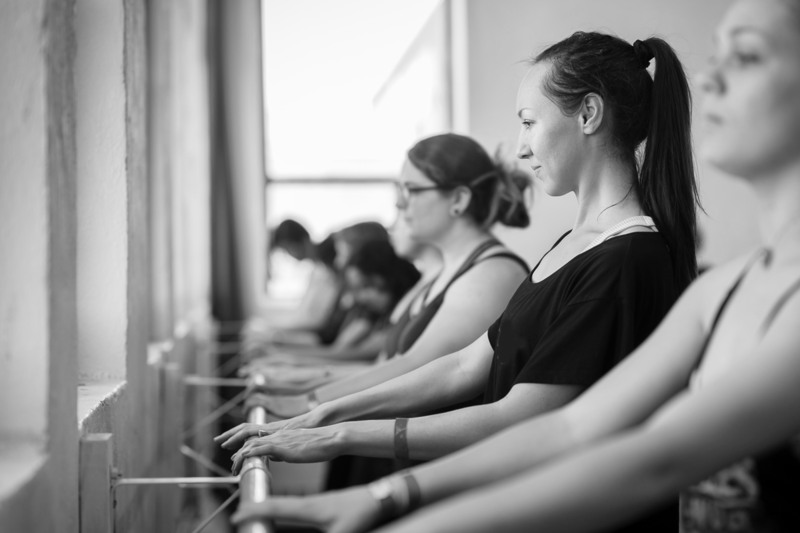 Valorie Hart’s Tango Barre is a weekly training class for women. Learn where, when, and how to communicate the emotion that the music evokes through the movement of your body, legs, and feet. Tango movement is poetry in motion achieved through your movement that is unique to you. These classes are designed to help you find your style so you can be confident and express yourself every time you go out dancing. Dancers with any level of experience are encouraged to come to this class. Every Tuesday 8-9PM, Lelia Haller Ballet Studio, 4916 Canal St, New Orleans, LA 70119, $10. Bring flat shoes and heels (and water). Valorie’s El Yeite Practica after class 9-11PM, $5. for those who do not attend Tango Barre class. All are welcome to the practica (men, women, everyone). The TANDA (TAN-duh), or La tanda is a tango Spanish word that defines a set or group of songs of similar rhythm, generally by the same orchestra, and preferable from the same time period. The tanda originated in the early days of radio programming when music was played from 33⅓ rpm microgroove vinyl phonograph records introduced in 1948. It made sense to play a few songs in a row from the same album without interruption. That became known as a tanda musical (musical tanda). The concept was also applied to commercials played in a row without interruption. They became known as tandas comerciales (commercial tandas). The musicalizadores (music men spinning the music) at dance halls and clubs soon found it very practical to play a block of music or tanda from each LP. After a tanda, they would play a sort of musical curtain (cortina musical) or separator that allowed them to change the LP for the next tanda. This necessary routine served an unintended purpose as well. The cortina reminded dancers to clear the floor for a short interval to allow the ladies to be accompanied back to their seats, to allow the waiters to take orders and serve food and beverages to the tables, and to allow for a rest room visit. The structure or dynamics of the milonga allowed men and women in between songs of a tanda, the opportunity to know each other, share a conversation, and perhaps arrange for furtive dates at a later day, because the social mores of the time didn’t allow women to freely socialize or consort with men at public places. It had something to do with virtue and good name. A shared ‘tanda’ afforded a dancing couple fifteen minutes of total intimacy in front of everyone. People attending social dances dedicated to the tango (including milonga and valses, of course) were aware and abode by the codes and protocols of the milonga. – Invitations to dance were made and accepted during the cortina, the first or second song of the tanda. – Invitations on the fourth and last song were very rare. Dancing the last song of a ‘tanda’ was equivalent to dancing only one song. perceived to be the worst dancer would in all likelihood not set foot on the floor for the rest of the evening. For a milonga to have dynamics is not necessary to know Spanish, or to behave like an Argentino. However, respecting others and the dance floor by not staying on the floor during cortinas and being aware of which order in the tanda is the song being played is. Every generation of tango dancers in Buenos Aires since the late 1930’s has passed to the next generation a wealth of knowledge that includes codes, protocols, and role models. We lack such connection to a strong root filled with tradition and behavior. You may call it the grandfathering of the eternal tango. About five years after the first generation of dancers in the United States received their inspiration and passion from a wave of milongueros who taught for the first time at the 1995 Stanford Tango Weeks, the influence of American ballroom dancing rules and protocols began to infiltrate the places where the devoted, militant, and purist tango dancers held their daily celebrations of the joy of dancing tango. Today, there is tango activity all over the world, in big cities, small cities, at big milongas and in exclusive house parties. The genie is out of the bottle and it’s only with the hope that more adults won’t get discouraged and leave, that we share our two decades of experience with tango in North America. In Argentine Tango dancing personal behavior affects the dynamics of the dance floor. The enjoyment, safety and satisfaction of the participants as a whole far outweighs one individual’s desire to use the common ground to impose on others his or her personal efforts for self-definition. Before being imported from Argentina, tango was an adult activity where nobody was entitled to a dance, and everybody was expected to know how to dance. Most places around the world tend to adopt some form of orderly presentation of the music to the dancers. We can claim with pride our commitment to respect the flow of the dance by always selecting and playing tango, milonga and vals music suitable for dancing arranged in logical sets of three or four. Those who trust their formal tango education to us are exposed from their first day to the best available music for dancing, delivered in coordinated sets that make it easier to identify orchestras and recognize songs. We do that in a non-judgmental way, suggesting not dictating, paying judicious attention at how everyone reacts to the various musical offerings. – If you can recognize that the orchestra or the rhythm has changed, think of respecting the order of a ‘tanda.’ Recognize a cortina because it shouldn’t sound like a tango or use the same instruments used in the tango. Leave the floor and return to your seats. Don’t hover or crowd around the tables or seats where women are seated. – Be prepared and willing to dance a minimum of two, preferably three and optimally four songs with the same partner. One to get acquainted, two to get friendly and three to let it rip. The fourth one is reserved for the proverbial ceiling staring, cigaret smoking state of mind. – If at all possible ladies should point out to their partners that the dance floor is not the appropriate place for a quickie lesson. A man who is not capable to make the best out of a lady’s current expertise is asking for a one dance stand. Women should give it to him. – If at all possible, face the room, focus your attention on the people around you, across the room, on the dance floor. Make eye contact for a friendly lip synched ‘hello’ or walk up to a person and exchange a couple of polite pleasantries. Don’t be shy to indicate your desire to dance. – If at all possible get to know people with experience, native milongueros from Buenos Aires, and others who travel often. Leave your hang ups outside and do not forcing them to break long embedded codes and coming to your ask you to dance verbally. – If you can walk, you can’t necessarily dance, but if you can look the chances improved dramatically. g) showing to be having a lot of fun talking their heads off with somebody else who they want not to be bothered with a dancing invitation either. I..?” indicating your intention to ask the other half for a dance. – By the way, extending a hand like a beggar is not very cool. Even when standing in front of the person being asked, smile and use a gentle motion of the head to point to the dance floor, or lip synch something that includes the word dance. whom you cause harm, inconvenience or outright pain. – Don’t go to a tango dance party to support. Go expecting fulfillment, enjoyment, and quality. The only way organizers get the message that they need to improve or change their offerings is by not falling for the tribe, herd, or family mentality that makes others stay home. These are some common sense practices understood and liberally practiced at many tango places around the world. They’re aimed to mind the ‘tandas’ and to encourage responsible behavior for preserving the dynamics of the dance floor. Nobody is born knowing, but studying we learn, as long as what we learn makes sense and can be explained in clear and logical terms. The term parada is the past participle of the Spanish verb parar, which literally means to stop. The name is shorthand for la mujer ha sido parada por el hombre, or “the woman has been stopped by the man.” The definition in tango terms is the action of stopping the woman when she still has both feet on the floor (in other words, when she is transitioning between axes on an inside or outside cross but never laterally). A man should never stop the woman while she is in the process of executing a lateral opening because it is not flattering for the woman to be seen with her legs open. This popular sequence is done in the cross-feet system and occurs when the woman is executing an outside cross to the man’s right. The recognizable feature of the parada is the illusion that the man stops the woman by placing his right foot next to her left foot when she has crossed her right foot outside. This parada is the result of interrupting the outside cross of the woman with the man’s right shoulder when she has both feet on the ground. As her transition to her right axis is interrupted (that is, stopped), the woman flexes her front leg and elongates her right calf, pressing against the floor with her right metatarsal and keeping the heel off the ground. The use of the parada must be handled with the rest of the dancers in mind. Gentlemen, stopping for no other reason than to do a parada just because you learned how to do it may create circulation problems for the other couples coming from behind you. It is accepted dance floor etiquette to drop toward the center of the dance floor before engaging in any figure that may otherwise block the flow of traffic on the edges of the dance floor. After you play and have fun, rejoin the line of dance anywhere that doesn’t interfere with the flow. Another way to interrupt the motion of the woman for the purpose of changing her direction is the leg hook, commonly known as gancho. The position where the gancho takes place is the same sixth position of the eight-count giro (clockwise giro 6 and counterclockwise giro 6); in other words, it is when the woman steps back with her outside leg using a cross behind her support leg. In this case, the man interrupts and stops the woman’s motion by extending his outside leg to block the thigh of her inside leg. Next, he changes her axis to the outside leg with a gentle forward lunge into her, flexing his support knee. Then he marks a backward motion of her inside leg. Since the man is blocking that leg at the thigh, the woman can move only her inside leg until her thigh presses firmly against the man’s thigh. She continues moving her leg from the knee down, wrapping the upper part of her leg on the man’s thigh, thus hooking her leg into the man’s open stance. During the establishment of the tango at the onset of the 20th century, things happened that formed the historical circumstances. The population of immigrants and their descendants had grown in such substantial numbers to take away the country from the conservatives, who had been ruling it at will. The immigrants won the first secret-ballot elections in Argentina, establishing the first populist administration. The people of that generation projected themselves toward the future with the wisdom of their neighborhoods as their most valuable tool. They read from the best texts and studied from the best professors from Europe. Meanwhile, on the street corners, the music and lyrics that had become tango were accompanied by studied steps that sent immigrants and new citizens alike looking for partners at the milongas, the fabled gathering halls of early tango dancers. In 1930, a military takeover snatched the homeland away from the majority and overthrew the government that had protected them. Martial law and a state of siege were the tools used for persecution and repression. That is when native cunning and cleverness resulted in the founding of the social clubs, havens where people could meet during that stifling political reality. To better disguise their activities, the Creole society hired musicians who, at the same time that the social clubs grew, contributed to the growth of musicians, composers, lyricists, and dancers. There, the milonga was protected while the participants spoke freely of politics and businesses. Then Carlos Gardel arrived and forged into one all the nationalities. And when much later it seemed that everything succumbed to governmental order, tango was the popular thing that came to save the people. My father, the immortal poet Homero Manzi,1 showed me a view of the world of the tango at the apex of its golden age. At no other time did musicians, composers, poets in the form of the lyricist, and dancers converge in one wonderful rush of originality and influence. That is the way my father described the events, as we look at them turning toward the present, with many couples joining their efforts toward education. Many have reinvented the Argentine tango, and it has even reinvented itself. Just when it had been written off as passé, pronounced dead in newspaper headlines, and ignored by a couple of generations, it came back full force and full circle. There has been a revival, a reinvention of sorts, of the tango in all forms. The golden age is surpassed in sheer numbers of dancers, because the tango has had a global explosion. Credit for this is often given to the most glamorous catalysts in the form of tango shows and tango movies. But a more grassroots influence exists in the form of a handful of protagonists who preserve and foster the tango for the love and respect of it. Two such persons come in the names of Alberto Paz, an Argentine, and Valorie Hart, a tanguera from the United States. Having made the Argentine tango the leitmotiv of their lives, both personally and professionally, these two have promoted the tango to the thousands of students they have touched in the scores of cities and countries in which they have taught their classes. Add to that the thousands of words they have written on the history, the poetry, the music, and the dance in their magazine El Firulete and on their Planet Tango Web site, and you come to realize the profound influence these two have proffered to the benefit of the Argentine tango. Through their exploration, Alberto and Valorie have made the dance form something teachable by expanding on old ideas and codes that permeated the world of the tango when they and others found it languishing for lack of interest and understanding. They have influenced the very language used in teaching the dance. Taking the ideas offered to them personally by proponents of the golden age, they have worked tirelessly to present a clear and accessible construction of the dance. They do this to empower one and all to embrace the enjoyment and benefit of it and to understand the culture and history that formed its music, poetry, and, of course, the dance. Gotta Tango offers a concise, complete, and clear compendium of the dance of tango, a gift to you, the social dancer, and a must for anyone inclined to become a teacher of it. Nothing like it exists, and it is destined to become a classic, much like the tango itself. This is the fruit of Alberto and Valorie’s labor of love and a delightful result of their intelligence and expertise as master teachers. 1 Homero Manzi (1907-1951) was a critically acclaimed poet, filmmaker, author, and lyricist of such classic tangos as “Malena,” “Sur,” and “Barrio de Tango.” In his 44 years he also reached into journalism, teaching, labor, and political militancy with mixed success. The tango lyric was, nevertheless, his true claim to fame and is what keeps his memory alive. 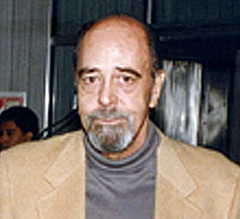 Homero Luis (“Acho Manzi”) Manzione was born March 6, 1933, in Buenos Aires, Argentina. He is an elected member of SADAIC (Society of Authors and Composers in Buenos Aires) in a supervisory capacity on the auditor’s commission. He is well known as a composer of both music and lyrics of tango and folk songs. Acho is the author of tangos such as “El Ultimo Organito” (in cooperation with his late father, Homero Nicolas “Manzi” Manzione) and the lyrics for Cuarteto Cedron’s CD, Para que Vos y Yo, produced in Paris. He is also a compiler of poems dedicated to the tango and its influence in the broadcasting and film industries in Argentina. Acho has compiled the prose and short stories of his father, presented and displayed at the XXIV International Book Fair in Buenos Aires in 1998. He has worked in television production and participated in the movie Los Guardianes del Angel (2004). He passed away July 27, 2013 R.I.P. Sooner than later you will be visually attracted to the way some seasoned dancers seem to add another layer of expressiveness to their dancing. They use the whole body to interpret each piece of music, no matter which arrangement of a melody is played. What is it that they do that seems to enhance their dance? In this book we have deliberately left out instructions on performing embellishments. However, you should know a few facts about them. What is meant by the word embellishment? In the vernacular of the Argentine tango it is the action of adding a little something extra to the core movement of the body that produces the locomotion of the legs and feet. Both women and men do embellishments. The addition to the core movement, the embellishing of a movement or step, is meant to be seamless. In terms of musical counts, it is movement within the main beat; it happens simultaneously within a step. As seen from the outside by someone with an uneducated eye, embellishments tend to look like the sole expression of a dancer’s legs and feet. This is an oversimplification. Embellishments should not be “learned,” memorized, or copied. The mere replication of movements copied from an admired dancer, without a real understanding of what they mean, what they are used for, where they come from, and how they are crafted and created, will only produce insignificant and unpleasant results. Embellishments are not a just a woman’s thing to be done without context. When the man knows how to guide and the woman knows how to be guided, and they both have a good ear for the music, each one of them may add embellishments with musical accuracy. There will be no disturbance to one another or any type of pull or vibration. Embellishments do not interfere with la marca (marking) of movements, steps, or sequences. Unless the couple is dancing a prearranged choreography, the woman does not need to wait for the man to “give” her time if she wishes to embellish. While improvising, the woman relies on her intelligence, her ability, and her experience to know and decide if her movement corresponds to creating an embellishment. Dancers who have limited experience should be discouraged from attempting to embellish at a milonga; classes and practices are more appropriate places for acquiring technique and confidence. Often, embellishments need and can be worked out technically and methodically. However, when it comes time to put them into action, they must be done spontaneously and appropriately. Both the individual and the couple will reflect their love and passion for the music of the Argentine tango when embellishments are created and used within the spirit of the dance.